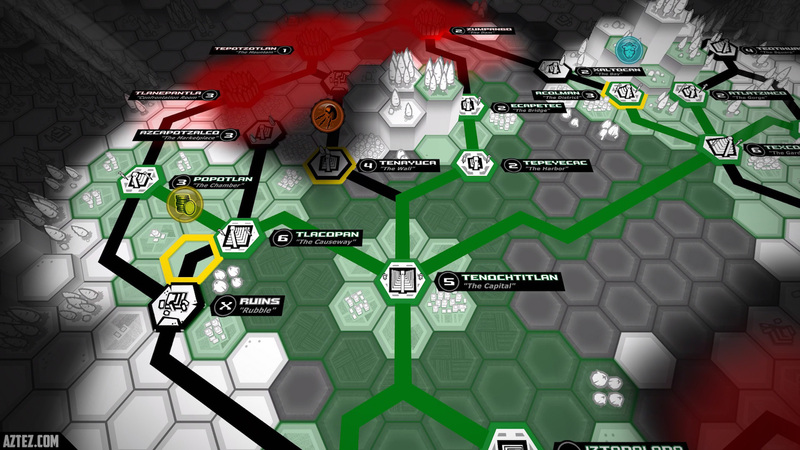 Team Colorblind's beat-em-up strategy game is hitting Steam next month. When I heard someone had made a beat-em-up game based on the Aztec civilization and that I would be getting the chance to play it at this year's E3, I couldn't have been more excited. As someone of Mexican descent who's passionate about his culture, I can immediately appreciate a strategy side-scrolling brawler that turns you into an Aztec warrior on a mission to take down Spanish conquerors. In a nutshell, this is the idea behind Aztez, an indie title from developer Team Colorblind that's been in the works for about six years. 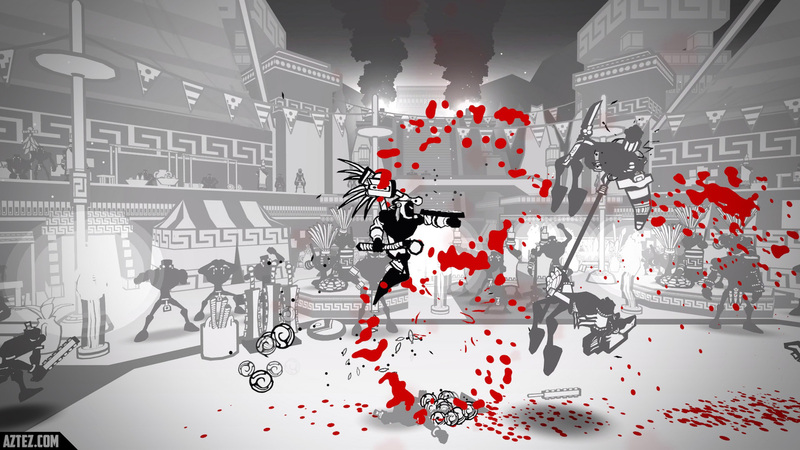 The PC game, which is finally set to hit Steam in mid-July for $20, features a black-and-white theme with hints of blood-red every time your Aztec warrior slashes opponents. When you play for the first time, you'll notice the Aztez story takes place in "Late 15th Century: The Valley of Mexico," and your goal in the opening mission is to beat guards and collect warriors as a reward. And you'll need these to move through the world, since they're the equivalent of lives. If you run out of warriors, your campaign restarts. To help you accomplish the tasks, you can choose between a sword, knife or spear, some of the traditional weapons used by the Aztecs. There's also a rifle involved at some point, but I won't spoil that for you. But Aztez is more than just a beat-em-up game. There's strategy involved, too, which means you can use the points you win after every battle to buy new cities and start building an empire of your own. For example, you can hire different characters to gamble your points and, hopefully, get you more resources along the way. Ben Ruiz, the game's combat designer and artist, says the goal is to let the player rewrite history, adding that the game draws inspiration from platformers like Spelunky. My favorite part of Aztez was when my warrior would hit a few combos and then perform a sacrifice ritual in the middle of a fight, which was made even better by the wild animations that show the Aztec gods accepting your opponent's blood. Somehow I found that to be the most charming part of the game, and I can't wait to play it again when it arrives next month. Speaking of, though Aztez is only launching for PC at first, though Team Colorblind does plan to bring it to the PlayStation 4, Xbox One and Wii U at some point.